James Paris Lee, born in Scotland. Aug. 9. 1831, began this design in 1877 at the Remington Armory, llion, N.Y. The patent granted Nov. 4, 1879. was assigned to Remington. In 1882. Remington submitted to the United States Army-Ordnance Board two models of the Remington Lee rifle, the Model 1879 and an improved version which became the Model 1885. Remington was awarded a limited contract for Model 1885 rifles by the Navy Department. They are marked on the top of the receiver ring with U.S.N, over an anchor. The exact quantity delivered is unknown. Efforts to interest the military in the smokeless powder Model 1899 proved fruitless. 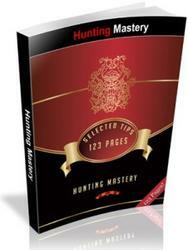 Remington then tried the commercial market by introducing this system in the form of target and sporting rifles. Though similar in appearance, the Models 1885 and 1899 are different in nearly every detail. Except for small screws and pins, none of the parts are interchangeable. 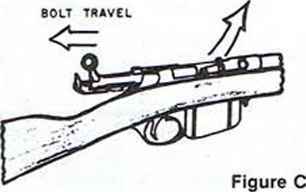 Both rifles are cocked by the forward action of the bolt and closing. 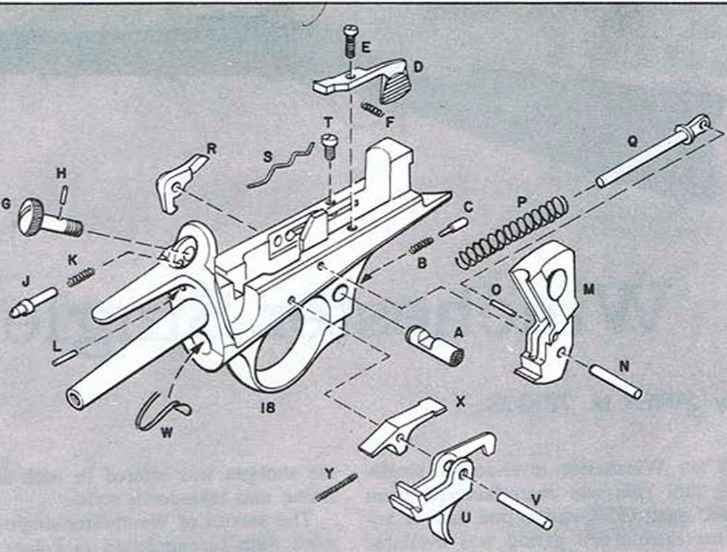 To engage the safety, grasp the cocking piece with your left hand, press the trigger and slowly allow the cocking piece to move forward until it engages the safety notch. To release from safe, simply pull back the cocking piece. When the safety is engaged, the bolt is locked in the closed position. 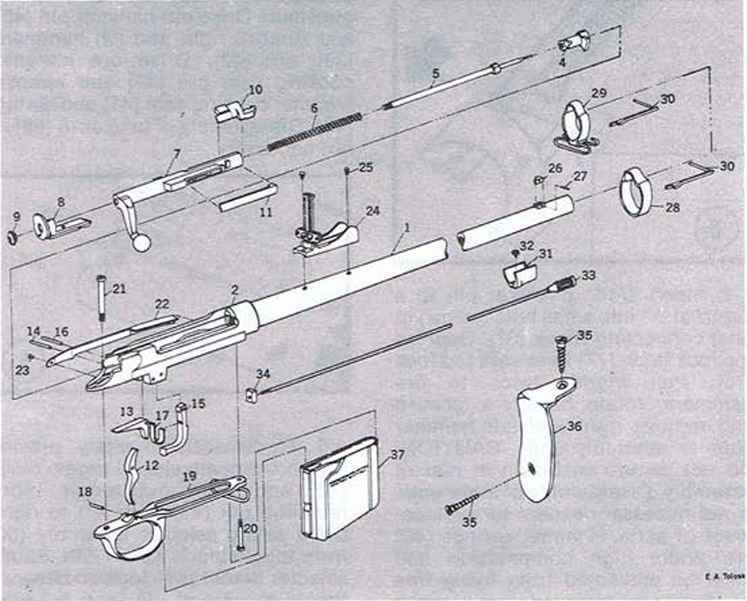 The detachable box magazine has a capacity of five rounds and is removed by-pressing the magazine catch located in the top of the trigger bow. When the magazine is removed, the magazine cutoff moves inward to block the cutout for the magazine. The rifle can then He loaded and used as a single shot. Remington discontinued production of the Model 1899 in 1901. 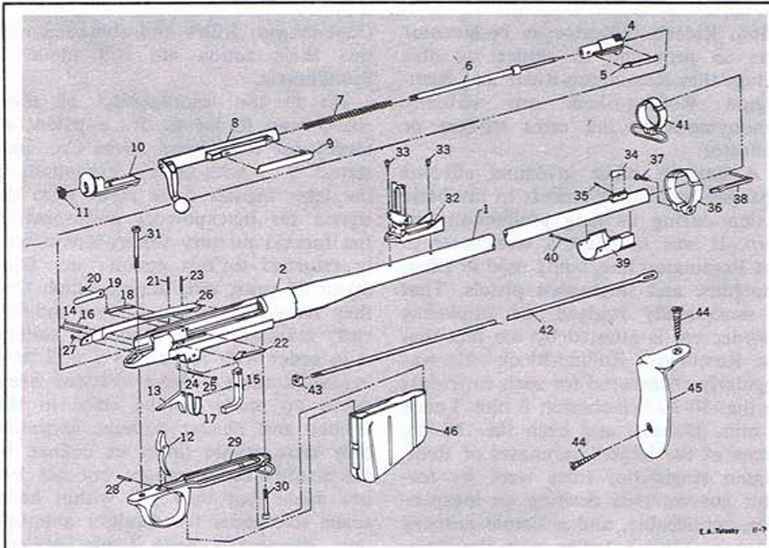 In the meantime, Lee had regained his patent rights and proceeded to stimulate interest in this rifle abroad. England adopted his design. a screwdriver in the slot between the extractor locking spring and the front face of the bolt lug (see figure A). Rotate blade of screwdriver counter-clockwise to force the extractor locking spring forward. Lift out from bolt assembly. 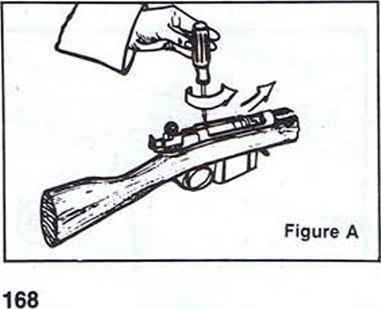 Remove extractor by lifting away from bolt (see figure B). 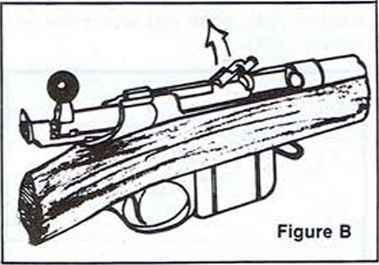 Slide bolt rearward approximately half the distance of the opening in the receiver. The Model 1885 Remington-Lee rifle In cal. .45-70 was used in trials by the U.S. Navy. The Model 1899 is similar in general appearance but differs in nearly every detail. How to remove magazine cutoff?